Description from Goodreads: Vera and her brother, Will, live in the shadow of the Great Panic, in a country that has collapsed from environmental catastrophe. Water is hoarded by governments, rivers are dammed, and clouds are sucked from the sky. But then Vera befriends Kai, who seems to have limitless access to fresh water. 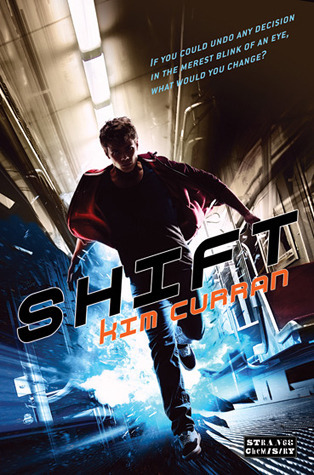 When Kai suddenly disappears, Vera and Will set off on a dangerous journey in search of him-pursued by pirates, a paramilitary group, and greedy corporations. Timely and eerily familiar, acclaimed author Cameron Stracher makes a stunning YA debut that's impossible to forget. 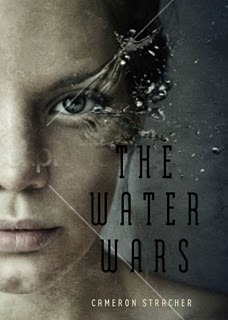 I love a good dystopian novel and The Water Wars sounds like it has a great premise. I hope it's good though, so far it's gotten mixed reviews. Keep your fingers crossed! This sounds like it's going to be a fun read! Ever since the hunger games, I've found myself fascinated by the dystiopian genre. Great pick! Dystopian is an intriguing genre...YA dystopian seems to be the latest thing. Hope you enjoy! I love good dystopian novels too and this one sounds fantastic. Great pick! Nice pick Sarah, I'm really excited for that one too! And that cover makes me drool, I love the water effect on his eyelashes, so cool! Sounds interesting! Love the cover. I don't usually like book cover with real people but this is good. I love me some dystopian novels, haha. The cover looks awesome, and the idea sounds fantastic. I'll have to add this to my list. I haven't read anything in this genre yet , hoping to start with Hunger games series , will keep this one in mind after I do.